For nearly a year Informant America has been revealing the criminal justice system deceptions, misrepresentations and outright lies about Richard J. Wershe, Jr. He’s lived for nearly three decades under the libel and slander that he was a drug lord and drug kingpin. Law enforcement mendacity isn’t unique to Rick Wershe. This weekend the papers have featured front-page news about the capture (re-capture) of the world’s most notorious drug dealer. Like the Rick Wershe story, if you look closely, something’s not right about the official story. You can’t make this stuff up. That popular aphorism certainly applies to events this weekend in the endless War on Drugs. In case you haven’t heard, there was news out of Mexico on Friday that drug cartel kingpin and serial prison escapee Joaquin “El Chapo” Guzman was captured by Mexican Navy special forces in a deadly pre-dawn raid in Los Mochis, a city on Mexico’s Pacific coast. Five people died in the firefight surrounding the operation. "Mission accomplished: we have him. I want to inform Mexicans that Joaquín Guzmán Loera has been arrested," Peña Nieto, the President of Mexico tweeted. 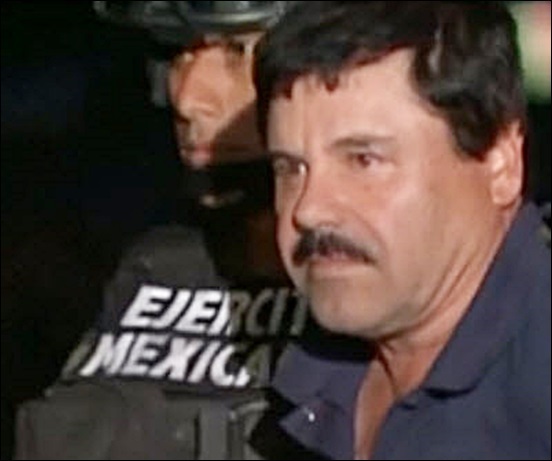 Guzman is widely regarded as the most powerful drug trafficker in the world. He is the head of the Sinaloa cartel and is reputed to have a net worth of one billion dollars. Just like George W. Bush’s famous 2003 “mission accomplished” claim regarding the war in Iraq, the “mission accomplished” Guzman capture story is not what it appears on the surface. And just like the premature Bush proclamation of victory in Iraq, the capture of Guzman hardly qualifies as “mission accomplished” in the 40-year war on drugs. The Mexican government told reporters the arrest of Guzman was the result of a tip—more “success” as the result of a tip from an informant! But like the saga of Rick Wershe, Jr. there is a lot more to the Guzman capture than the authorities are admitting. 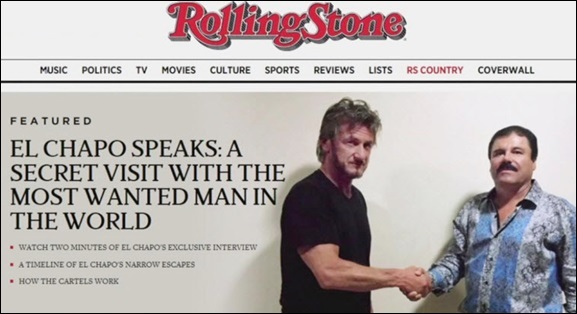 On Saturday, the day after the Guzman capture, Rolling Stone magazine came out with an exclusive interview with the Mexican drug lord obtained by movie actor Sean Penn last October. The Mexican government shifted gears and told the Associated Press the Sean Penn interview led to Guzman’s capture. There is no link between Joaquin Guzman and Rick Wershe, Jr. except this: the official line about this guy doesn’t stand up to close scrutiny. Law enforcement didn’t tell the truth about Wershe in the late 1980s. We are now in the first month of 2016 and once again we are not getting a straight story from the front lines of the War on Drugs. Consider recent history: El Chapo—Shorty— Guzman was the most wanted man in the world after his bold escape from a Mexican prison through an elaborate and costly tunnel constructed under the prison by his associates. It was his second prison escape. In the international drug trafficking trade Guzman was first among equals, the most powerful drug trafficker in the world. Mexican authorities assisted by the U.S. Drug Enforcement Administration and American’s considerable electronic eavesdropping technology could not find the fugitive drug dealer. Stories surfaced in the media that Guzman had fled to Guatemala where he was re-establishing his drug empire. But Sean Penn managed to find him, with the help of Mexican actress Kate del Castillo who has played the role of a drug dealer on a Mexican soap opera. She also tweeted support for Guzman in the past. Apparently, El Chapo noticed and got the bright idea of brokering a biopic movie about himself. Through intermediaries he contacted the actress who contacted Sean Penn who flew to Mexico and met with Guzman in a jungle hideout where they shared tacos and tequila. Some reports say Guzman was keen to meet the glamorous Mexican actress as part of the process. There was even video of Joaquin Guzman answering questions with a rooster crowing in the background. As noted at the start of this post, you can’t make this stuff up. Attorneys and film industry production professionals got involved in the “secret” negotiations and concluded a biopic about Guzman might be too difficult to produce. The interview with Penn for Rolling Stone was the alternative. If Sean Penn’s interview with Guzman led to his arrest, why did it take from October, when the interview was done, to early January to make the arrest? Where have Mexican authorities been all this time? Is it coincidence the Mexican special forces just happened to find Guzman the day before the Rolling Stone article was published? Did Rolling Stone rush the publication of the article because of the arrest? Why did the Mexican government change its story from one day to the next about how the arrest went down? Whatever the truth is about the Joaquin Guzman manhunt and capture, we don’t know it. Whatever the truth is about Rick Wershe, Jr., the reputed drug lord and kingpin we don’t know it, at least not completely. Bits and pieces are coming in to focus as the War on Drugs slogs forward and Wershe continues his life sentence while others similarly charged have been paroled. "Officials" have steadfastly refused to explain why Wershe should be treated differently. What we know is that Wershe helped the FBI prosecute corrupt cops and the brother-in-law of the late mayor of the City of Detroit. If the War on Drugs weren’t so tragic it would be funny. That brings us to a weekend Hollywood awards show. In the Golden Globes awards Sunday night, host Ricky Gervais zinged Penn and his Guzman interview in his opening monologue. The British comedian said he wanted to finish his opening segment then go in to hiding “where not even Sean Penn can find me.” He followed with a dig at Penn. “Snitch,” Gervais called him.